On Thursday 5 November, at the Australian Hearing Hub, at Macquarie University three brave (confident) mentees, Grace Troughton, Alex Miller and Metessa Stewart took the opportunity to perform at a live public speaking workshop in front of an audience of 30. 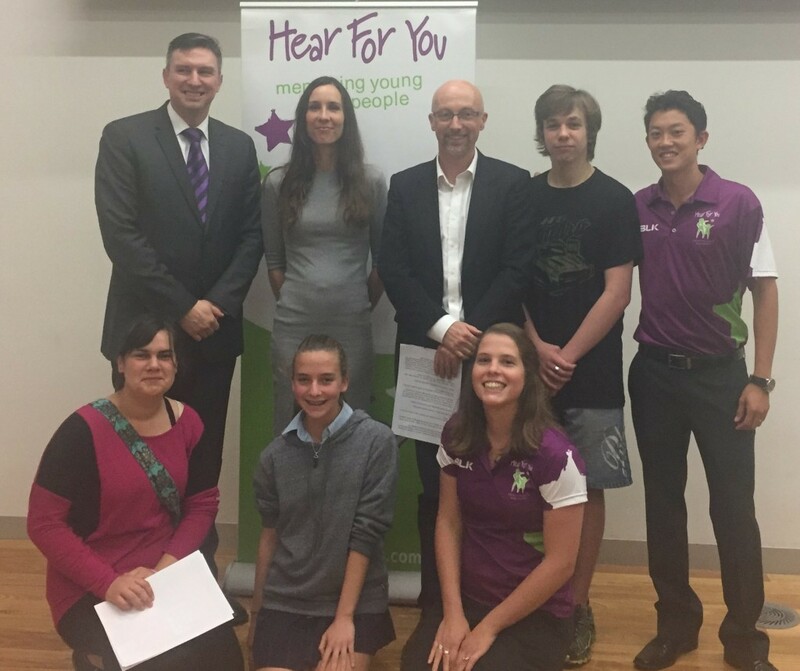 The audience consisted of Hear for You Founder Olivia Andersen, Professor David McAlpine, Professor of Hearing, Language & The Brain Director of Hearing Research Macquarie University, clinicians, researchers, teachers, and friends of Hear For You. The welcome address was given by Professor David McAlpine. Professor McAlpine talked about the importance of being able to communicate and express your point of view. He believes that learning the skill of public speaking is a great tool to be able to build confidence and creates a great platform to express your opinion to an audience. David Brady thanked the Australian Hearing Hub for providing this opportunity to use their facilities to host the mentoring workshops and public speaking event.